Here at Pyrenees Collection, we can arrange all your ski extras for you, saving you time and money in the resort. We can pre-book your skis, snowboard, boots and children’s helmets, so that it’s all arranged for you and you will not have to worry about paying once you arrive. We have selected reputable suppliers to ensure the highest standard of equipment and service. 4. In addition to competitive prices, you are assured that the price you pay at the time of booking will not change once you get to the resort. All our resorts have extensive ski school facilities. The Ecole du Ski Francais (ESF) is by far the largest and longest established. We can pre-book ski school in most of our resorts and we would particularly recommend that you do so, especially at peak times, in order to avoid possible disappointment. All the ski schools have English-speaking instructors. In addition there are kindergarten facilities in each of the resorts featured. 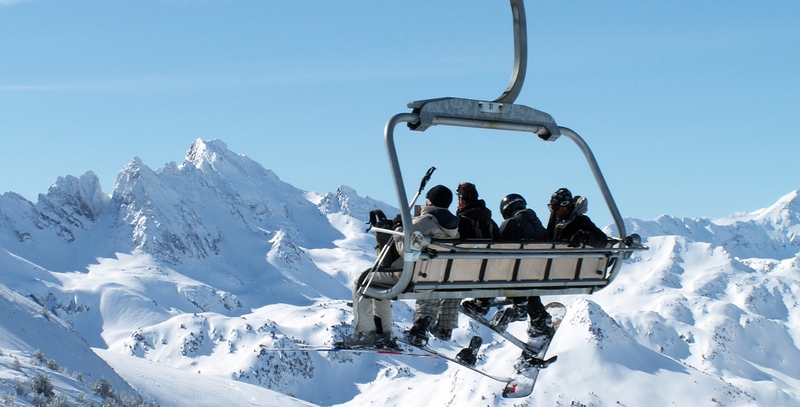 We can pre-book lift passes in most resorts. Often you will have the choice of purchasing a ski pass which covers the complete skiing area or a much smaller local area. We suggest that you purchase the larger area, unless you are a complete beginner. We believe that it is fundamental to the success of any holiday that adequate comprehensive insurance is arranged before you leave home. With this in mind, we have arranged a cover, which we believe is well-suited to your needs. It covers personal accident, medical expenses, personal baggage and money, etc. We have a dedicated ski insurance policy that also covers off-piste skiing/snowboarding. Various durations are available as well as European and Worldwide Annual cover.